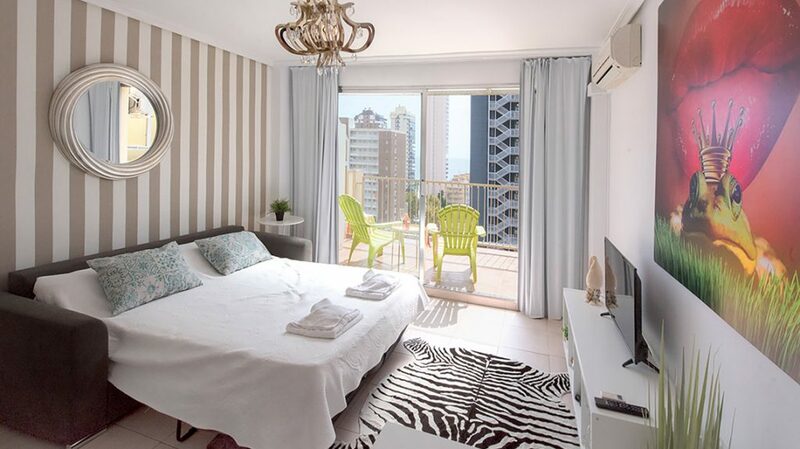 My Pretty Payma’s studio apartment is convenient for the beach, the shops, and a number of other attractions in Benidorm. 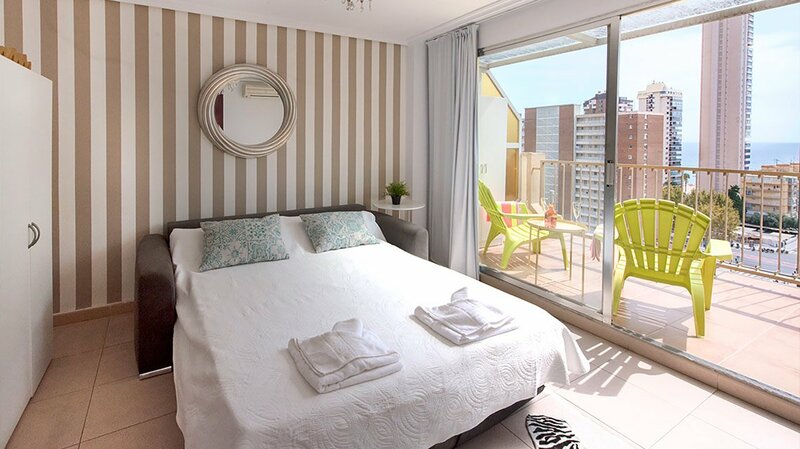 This two-guest apartment features a flat-screen television with satellite, a fully-equipped open-plan kitchen that allows for easy conversation with guests in the lounge and bedroom area, as well as a coffee machine and a kettle. The air conditioning will ensure that you are comfortable at all times. 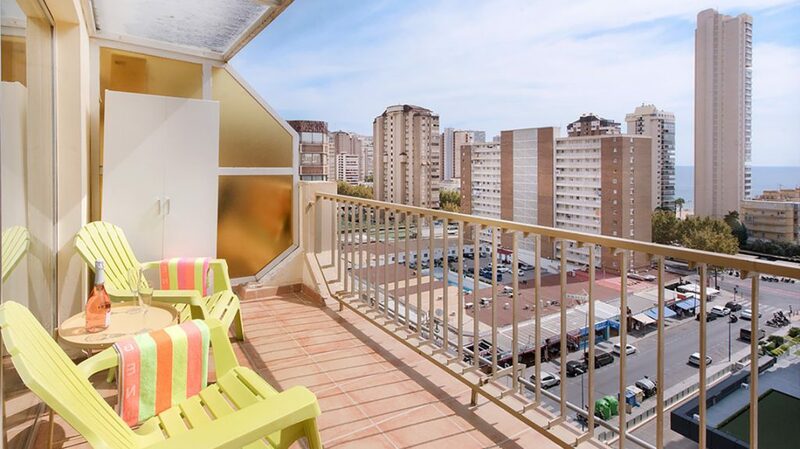 The compact balcony offers a beautiful view over the city and the sea, with comfortable seating to allow you to enjoy the view in comfort. 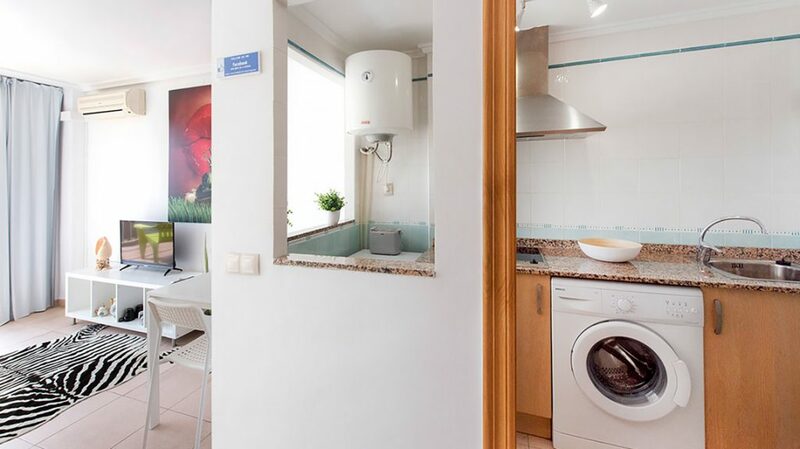 This stunning studio apartment also features a washing machine for residents’ convenience. The lounge converts into a bedroom with the greatest of ease – simply fold out the sleeper couch and voilà! The bathroom has a huge mirror just above the sink area. In front of the mirror, there is a neatly placed horizontal holder that can be used for an assortment of items from soaps to pot plants. 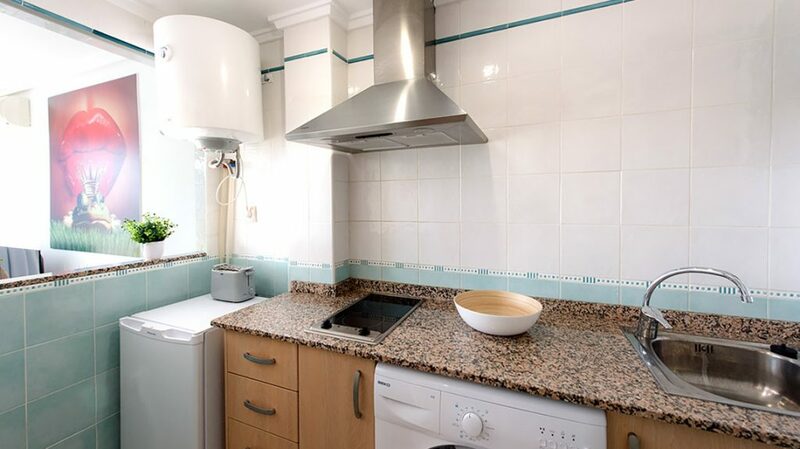 Beautifully tiled all the way to the ceiling area, it gives off a clean and polished look and feels. 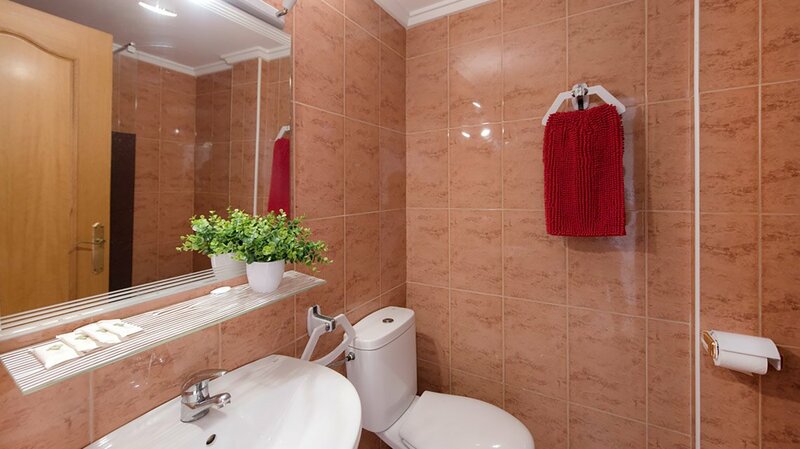 Just next to the shower, one can comfortably place a towel on the towel hanger. 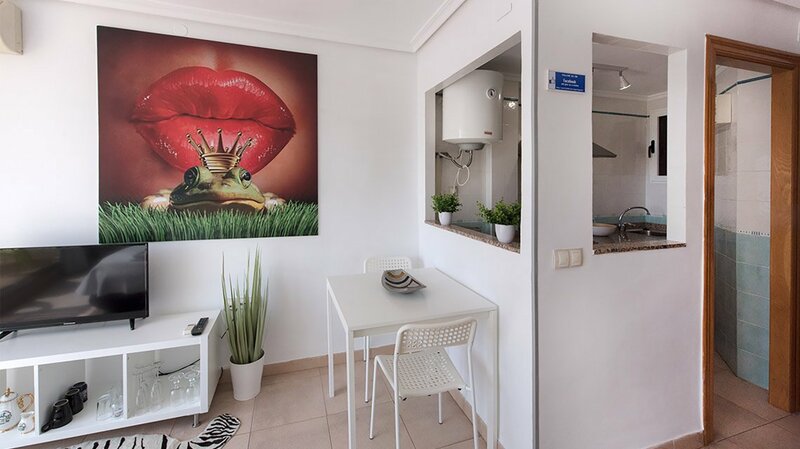 The apartment’s décor is a modern minimalist marvel in white, with splashes of color to add definition, wood detailing in the kitchen, and gorgeous murals to draw the eye. 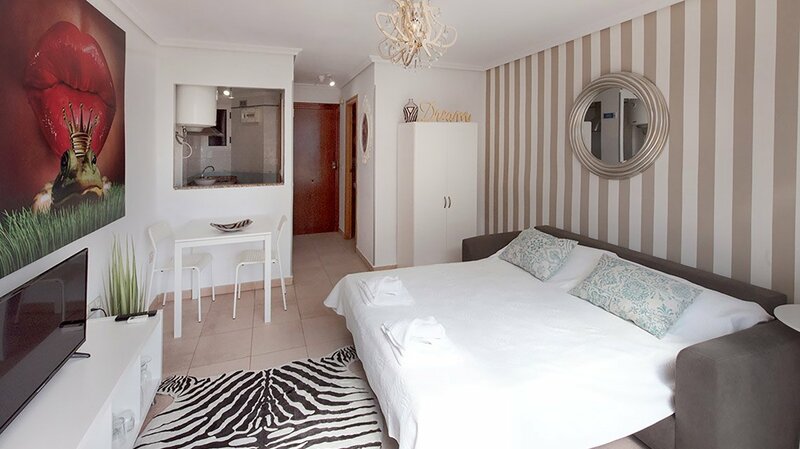 The combination of white and delicate accents give the apartment a spacious air, while the elaborate light fixture in the lounge and bedroom area gives the entire place a touch of old-world charm that will really make you feel at home at these apartments rentals Benidorm. 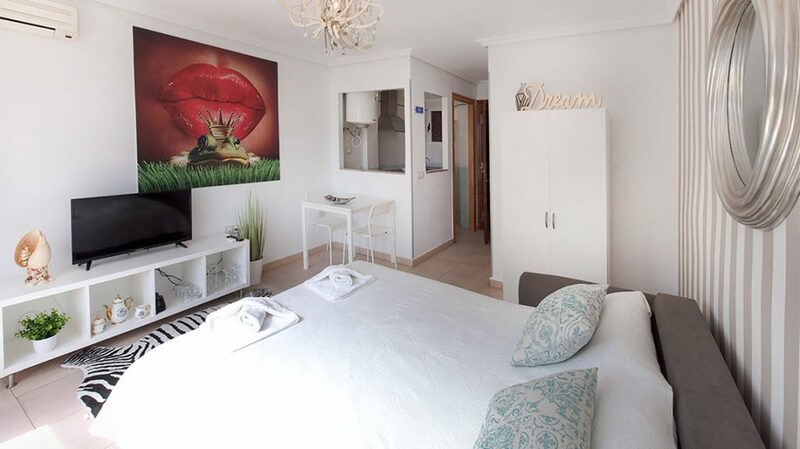 They are enticingly close to the beach – a mere few minutes’ walk from the beach. The studio apartments at My Pretty Payma are quite the sight to behold.